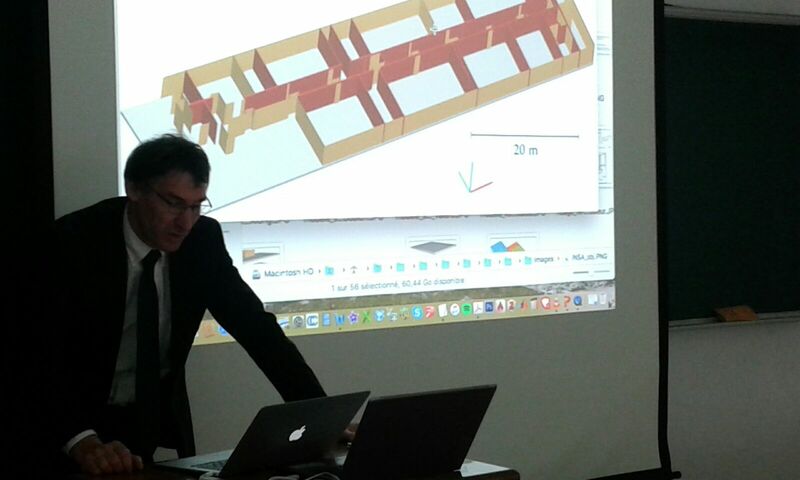 In February 2017, Prof. Marc Renner, director of INSA Strasbourg, Prof. Pierre Grussenmeyer, head of the research laboratory for Photogrammetry and Geomatics, Ms. Angelika Hammann, head of the International Office went on a 4 day mission to Taiwan in order to meet with representatives of two Taiwanese universities and the French diplomatic services in Taipei. Research teams of INSA Strasbourg, China University of Technology (CUTE) and National Chiao Tung University (NCTU) are working together since many years within the CIPA which is one of the oldest International Scientific Committees of ICOMOS (International Council of Monuments and Sites), jointly founded in 1968 with ISPRS (International Society of Photogrammetry and Remote Sensing) to facilitate the transfer of technology from the measurement sciences into the heritage documentation and recording disciplines. 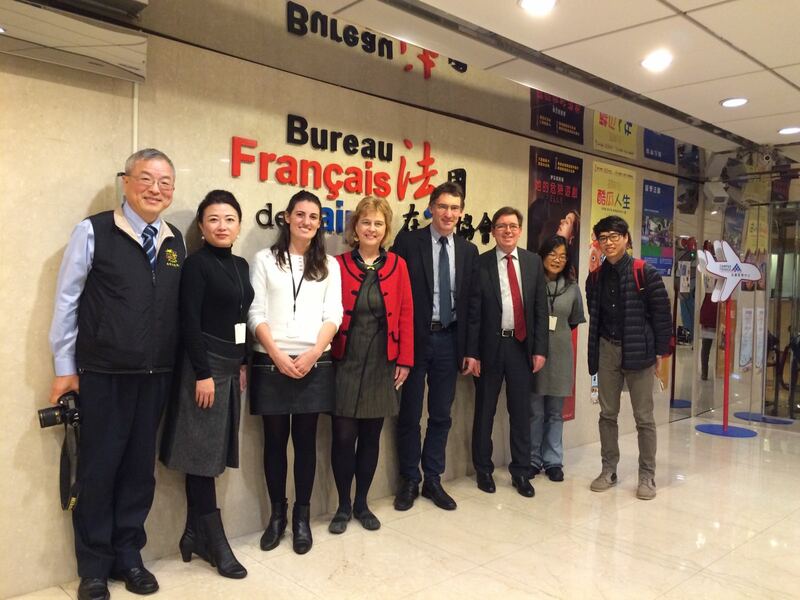 These contacts were the starting point for extending the fruitful cooperation already in place between French and Taiwanese researchers to study departments and other activities such as exchanges of students and trainees as well as staff and faculty members. 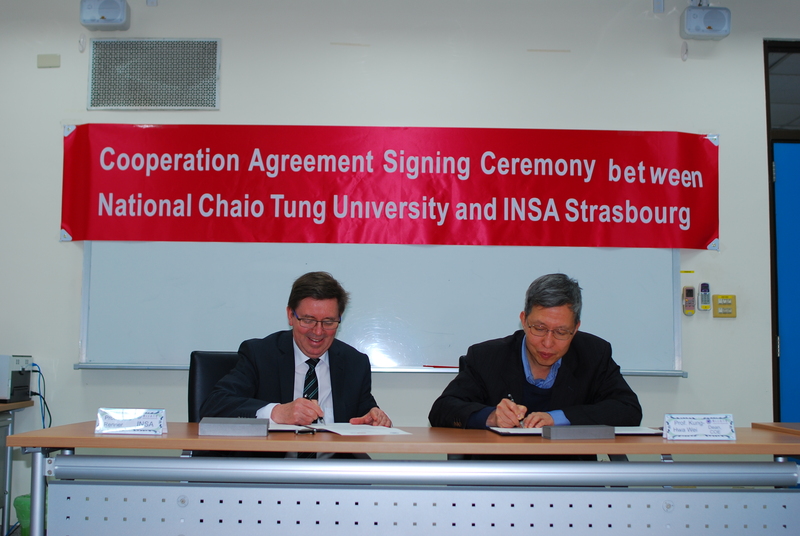 For this purpose, Prof. Marc Renner, director of INSA Strasbourg and Prof. Kung-Hwa Wei, Dean of Engineering College at NCTU signed a general cooperation agreement which includes exchanges in the the fields of Mechanical Engineering, Material Sciences, Civil Engineering, Photogrammetry, Remote sensing and Environmental Engineering. The first Taiwanese exchange student will be welcomed at INSA Strasbourg in fall 2017. For one semester he will be primarily entrusted with a project on Historic Building Information Modeling (HBIM). This first student ambassador will hopefully be the beginning of a long list of future exchanges of students and professors between INSA Strasbourg and its new university cooperation partners met in Taiwan. 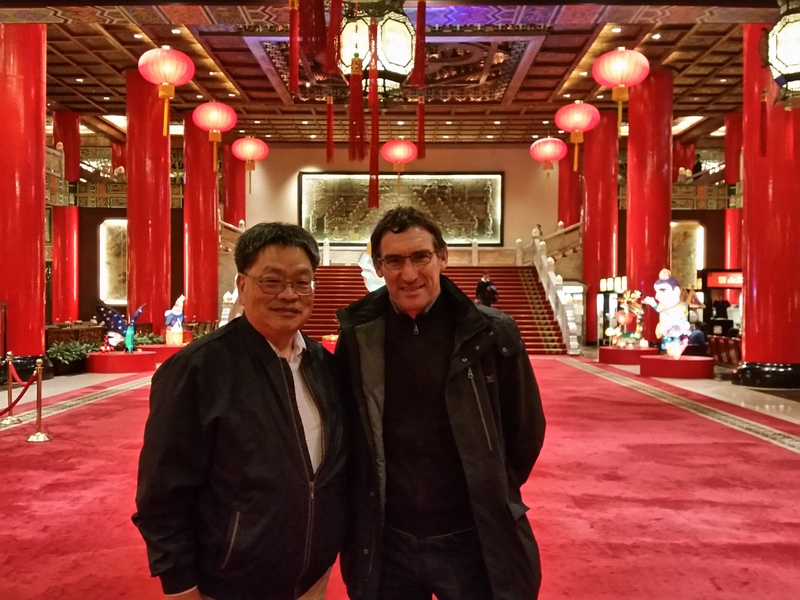 The professors of INSA Strasbourg also took advantage of their stay in Taiwan to discuss possible cooperation perspectives in the field of architecture with representatives of the French diplomatic services in Taipei, the “Bureau Français de Taipei”. During this meeting they also got very useful information about existing support programmes in the area of university cooperation in general. 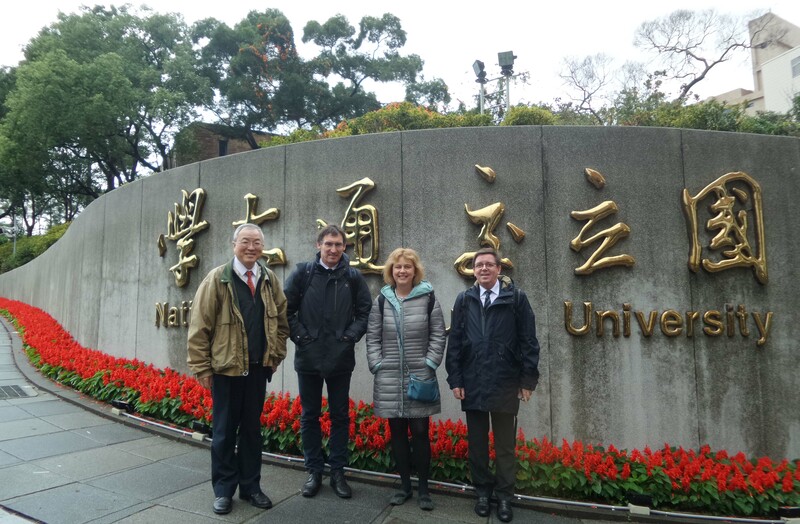 All encounters signaled a promising future for the cooperation activities between the universities met in Taiwan, and the INSA delegation is very grateful for the warm hospitality extended by everybody. Partager la publication "New university cooperation agreement of INSA Strasbourg in Taiwan"